This stunning 4 bed 3.5 bath home is an extraordinary find! Upon entry you are greeted by both an executive study & an elegant formal dining room perfect for all your entertaining needs! 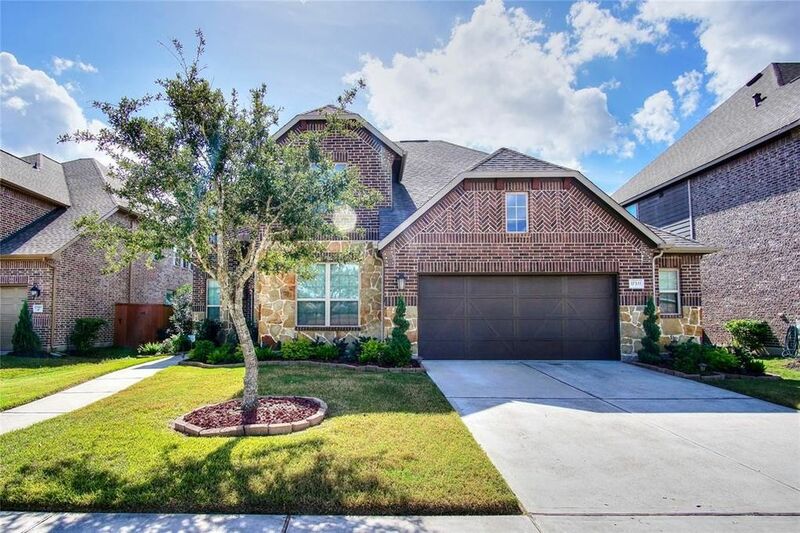 Passing through the entryway you come to a large family room featuring a soaring two story ceiling, a cozy tile fronted fireplace & floor to ceiling windows that shower the space in natural sunlight! Creating your favorite recipes is a true pleasure in the gorgeous gourmet kitchen equipped with tile floors, corian countertops, mosaic tile backsplash, a walk-in pantry & cabinets that provide ample storage space! In the evenings, withdraw to the spacious master suite complete with a luxurious bathroom showcasing tile floors, double sinks, a walk-in closet, a garden soaking tub & a tiled walk-in shower! The 2nd floor houses a game room, media room & all 3 secondary bedrooms! The home also has a huge backyard with a covered patio & plenty of green space for your favorite outdoor activities! Don't miss out! Directions: FROM I-10 WEST EXIT GRAND PARKWAY GO SOUTH. CROSS FM 1093. EXIT W. AIRPORT TURN LEFT. LEFT ON BINION. RIGHT ON BARZUN WAY. RIGHT ON RAISELANDS. RIGHT ON MURRAYFIELD COURT. SECOND HOME ON THE LEFT.